You may have heard of the new Sustainable Development Goals, or Global Goals, a set of 17 international goals that have replaced the Millennium Development Goals. This new sustainable development agenda outlines a range of measures and targets to end poverty, combat climate change and fight justice and inequality - with the ultimate goal that 'no one is left behind' in the story of human and economic development. Throughout the Goals there is a focus on improving life for women and girls. Goal five, achieve gender equality and empower all women and girls, sets targets for governments on ending discrimination against women and girls and ensuring equal rights for example to leadership and economic resources; and other goals include targets with a specific focus on women. 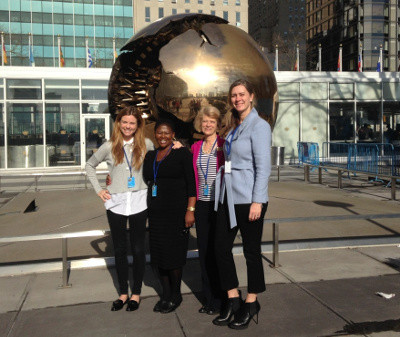 In March, the United Nations Commission on the Status of Women (UNCSW) met for two weeks to create a set of agreements on pushing this agenda forward. Mothers' Union holds special consultative status at the United Nations and was therefore able to play a part in influencing the outcome of the negotiations. The organizationsubmitted a written statement outlining recommendations on tackling violence against women, valuing unpaid care and committing to a range of other international agreements on gender equality; and throughout the two weeks met with government delegates to lobby on these issues. The United Nations may seem a distant entity, and the Global Goals a set of well-meaning ideals that have little relevance to the UK or Ireland. However, all governments have signed up to the UNCSW agreed conclusions and Global Goals, and it is important they are held accountable for implementing them. Mothers' Union will be following up on these commitments to improve life for women and girls - why not join us? “All good things must come to an end” and never has a truer word been spoken than for Mothers’ Union Chief Executive, Reg Bailey CBE, who leaves the organisation after 17 faithful years. Reg was brought into the role after years in the Fresh Produce industry (yes, he was the man from Del Monte) and his remit was to stabilise the financial situation for the charity – something that he thought would keep him in the role for around three years. Well, as it turns out there was much more for him to do, so he stayed a little longer! 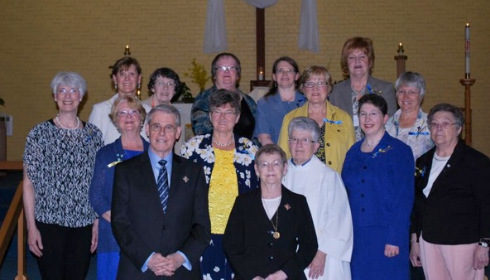 The installation of the new Canadian Council for 2013-2016 on May 11 at St James' Church in Halifax was a joyous occasion. 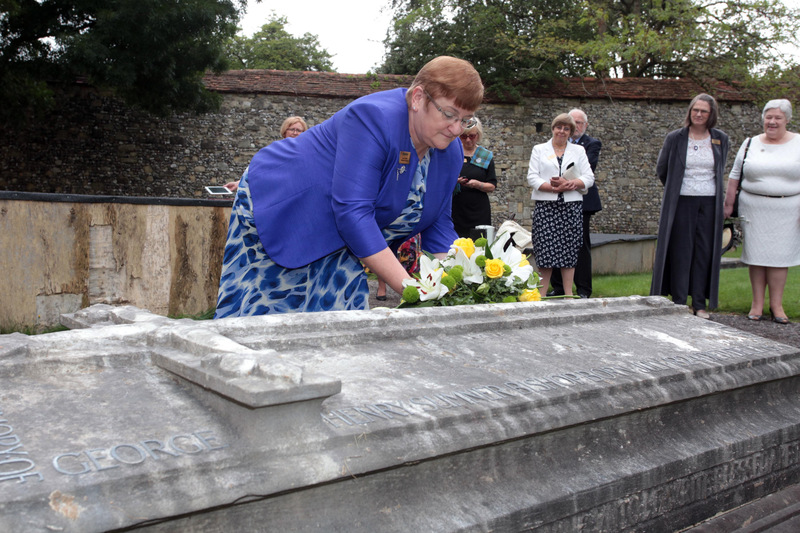 As the Queen is the Patron of Mothers' Union Worldwide, we were pleased to have their honours Brigadier-General the Honourable J.J.Grant, CMM,ONS,CD (Ret'd), Lieutenant Governor of Nova Scotia and Mrs. Joan Grant, attend the service. 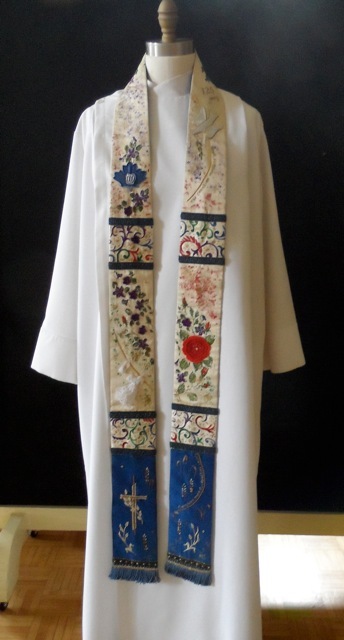 The 125th Anniversary Banner created for the Diocese of Fredericton and the 125th Anniversary Stole commissioned by the Diocese of Nova Scotia and Prince Edward Island were both included in the celebration. St John's Church, Milton, PEI held a commemorative service followed by tea and delicious desserts in September. 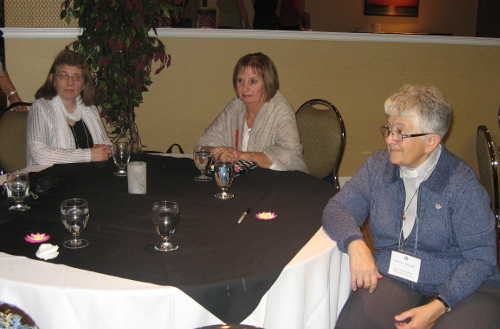 Canadian President, Margaret deCarvalho did a power point presentation. 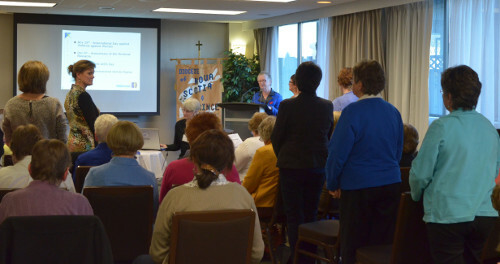 This consisted of an overview of Mothers' Union including international and national projects along with initiatives particular to Nova Scotia and Prince Edward Island. 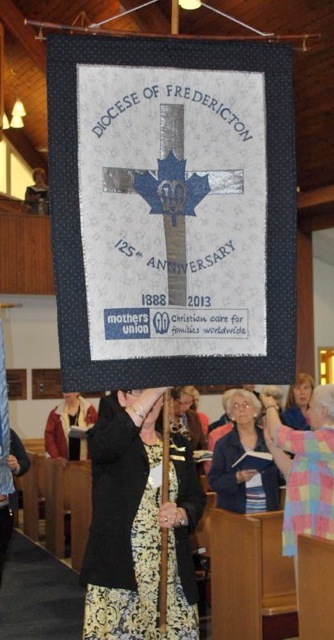 The Diocese of Fredericton prepared and presented a Power Point Presentation on the 125 year history of Mothers' Union in Canada. 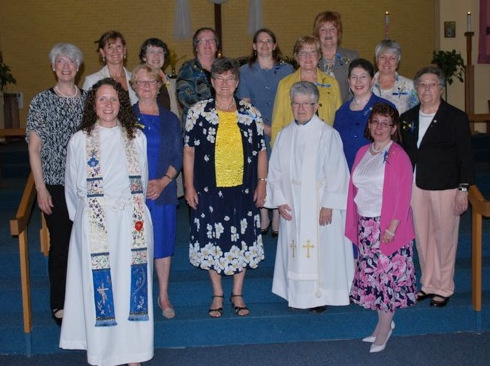 A new position has been added to the Canadian Council of Mothers' Union which is called Representative to the North. 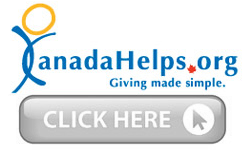 Kathleen Snow, a Past President of Canadian Mothers' Union and an advocate for involvement in the North, has agreed to fill this position and to work with the Bishops of the North to see how we can best support families in that area. Click here to see latest update.